Whenever you first contact your Boulder gutter company, it will be understandable if you find yourself being rather unsure as to what happens next. After all, there is a sense of you going into the unknown, and you may have a fear that it is something that will cost you a fortune to be completed. However, by contacting us, we will constantly seek to allay those fears and ultimately make sure that you are more than happy with not only the work that we carry out, but also the price that it costs. You need to be aware of any potential issues with your gutters simply because of the damage that can be done if things are not addressed immediately. All of that rainwater can end up being absorbed into the building rather than carried away from it, and as time passes, that is going to start to produce some wear and tear on your building. It will, therefore, be important for you to keep your gutters in top condition, and that is where we can help. 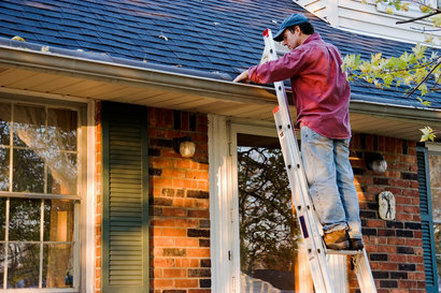 We can help with gutter replacement, gutter installation, and gutter cleaning to make sure your gutters stay in top shape. When you contact us, we will look at coming to visit you in order to closely study whatever your problem or request may be. By doing things in this way, we can then provide you with a far more accurate price for the work that is to be carried out as well as discuss the various options that are actually available to you. We firmly believe in providing our clients with several options, but we will work with your budget in order to provide you with the best solution for your money. Our team of installers are not only highly experienced at this line of work, but they are also very well qualified, fully insured, and up to date with the latest techniques, products and tools. In other words, you will be getting more than just new gutters installed as we can offer you a full range of services that will also be able to keep those gutters in the best shape possible for an extended period of time. Our company can also work with both residential as well as commercial clients, and we can also deal with any job of any size no matter how big or small it may be. For us, nothing will prove to be too difficult, and we can assure you of a fully professional job no matter what your issues may be. So, stop searching for any other Boulder gutter company and make things as simple as possible by giving us a call now. A member of our team will then arrange an appointment for us to come and see you in person and discuss what will happen next. We look forward to helping you.